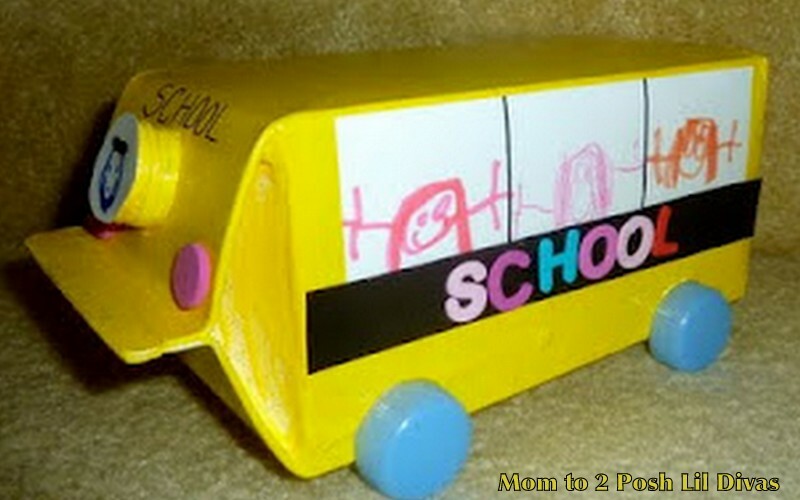 Since the Lil Divas started school this week I thought it would be fun to make a school bus. None of the Lil Divas actually ride a school bus but it's such a typical bac to school symbol and both of the Lil Divas are intrigued by them. 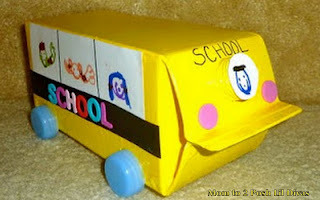 2. cut out 2 strips of white construction paper (bus windows) and fold into thirds. Draw lines at folds to make windows and draw a person in each window. 3. Glue on decorated window strips onto each side of bus. 4. Add strip of black construction paper under windows and affix foam letters spelling SCHOOL to each side. What Back to School crafts have you enjoyed lately? this is so cute!! I never would have thought of it and am so excited to try and make it. My kids and I do crafts all of the time. thanks for sharing this!! 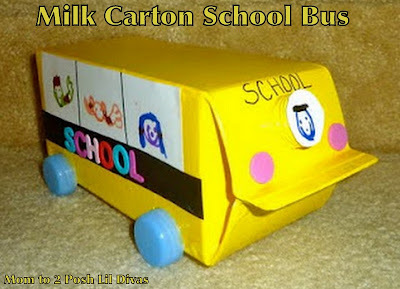 This is really cute--what a neat way to re-use a milk or oj carton. I love your school bus! Neat!! I love milk carton crafts! This is so much fun! I love this idea so much that I linked it to my Back To School Party How to Post as an idea for a centerpiece! brilliant! A version of this will definately be coming to a crfat room near us soon! wow! 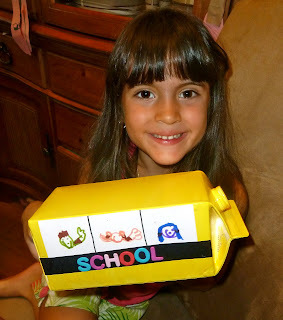 what a cute project - we are going to have to try this out! English Songs Lyrics Thank you so much for this latest updated blog. This is very interesting blog because all baby are create and provide good lesson.thanks for visiting link.. Very informative post! There is a lot of information here that can help anymayo school delhi business get started with a successful social networking campaign. If you need Washing Machine Repairs at your place please visit us...!! !